To find out more about this product please send us an email or call our showroom on 056 7726177. Alternatively please fill in the enquiry form on our contact page. This natural stone fireplace is available from Harding Fireplaces. Visit our showrooms in Gowran Kilkenny. This beautiful material is a type of white or blue-grey marble of high quality, popular for use in sculpture and building decor. 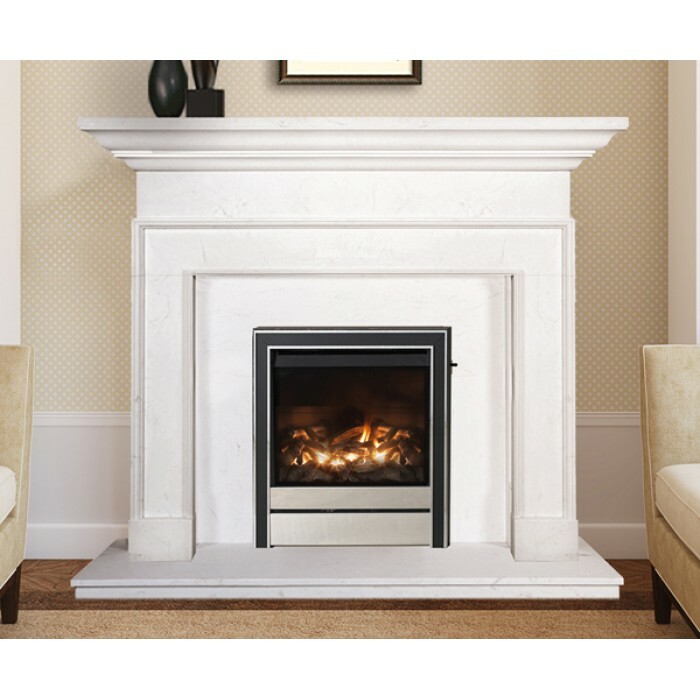 Ariston Carrara has its own distinctive texture and characteristics; each Ariston Carrara Fireplace is entirely unique to you and your home. For more information on this product please contact us.